They usually say ‘what happens in Vegas, stays in Vegas,’ but wow, I just have to tell you about my latest visit! My human and I decided to go for a spa weekend getaway at the Delano in Las Vegas to check out all they had to offer... and, let me tell you, it did not disappoint! First impressions are everything to me, so when I say that the Delano rocked it, I really mean it! Nothing is greater than walking in (or being carried in) to see such fabulous amenities from the get go. The ornate details and high end decor in the lobby offered such a luxurious welcome for me and my human. Not to mention, all the staff I encountered being so accommodating and friendly. It really made the check in process an absolute breeze. They even gave me a treat when I arrived...talk about getting the royal treatment! 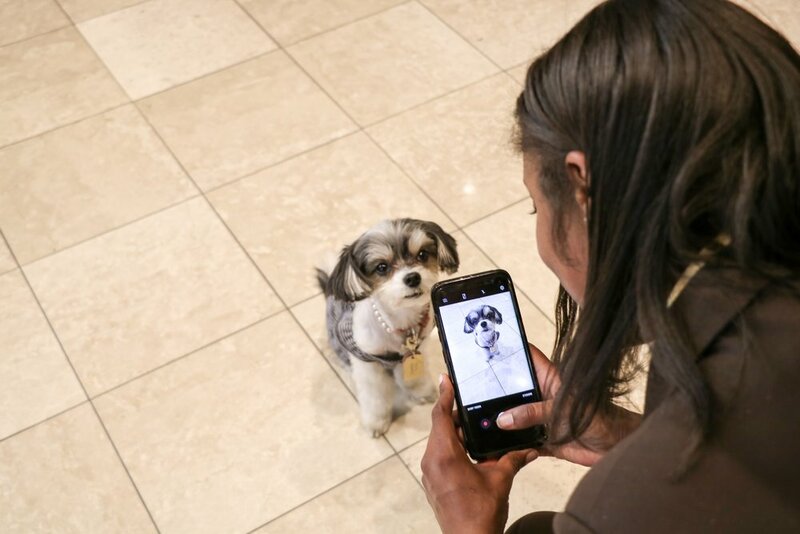 The Delano Las Vegas is one of MGM Resorts’ very own dog-friendly hotels that offers dedicated pampering services for diva dogs, like myself. So while my human was being treated like the queen she is, I was too! At just $75 extra per night per dog, I think that’s an absolute steal to be able to get the sort of treatment I did! How about those rooms though?! They were a luxury all their own! They offered spacious, suite-style guest rooms with tons of closet space for my wardrobe. Our room also had the cutest kitchenette area, which was so convenient when I wanted to grab a quick snack. Dog bowls being included in the hotel room is an absolute must when I travel because if I have to pack my own bowls, that leaves less room in my luggage for my fave sunglasses. We can’t have that in sunny Las Vegas now, can we?? Oh and the food...it was just to die for! The Delano gave me a Doggie Delights Menu at check in so I could order room service throughout my stay. It offered a variety of freshly cooked doggie delicacies straight from the hotel kitchen so when my human was enjoying her room service, I was too! This amenity was such a plus because, when in the showbiz industry, a girl really has to keep up with her figure...so no processed Kibbles ‘n’ Bits nonsense for this chick! The Delano not only treated me like the diva I am, but my human was given quite the star treatment too. 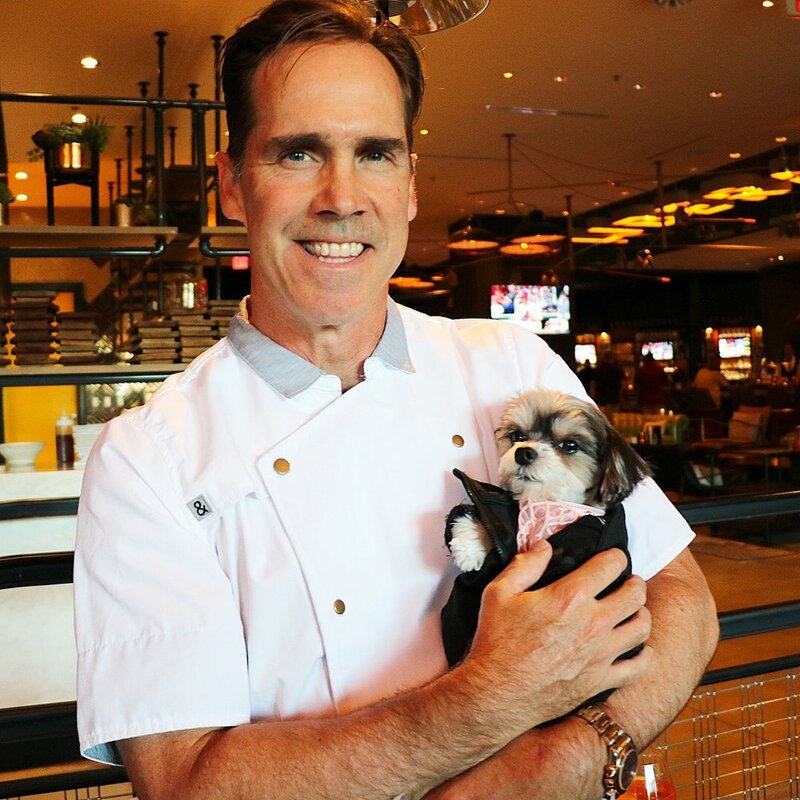 While I was tucked away in the hotel room, catching up on some much-needed R&R from all the pampering I was getting, my human was able to enjoy an amazing meal prepared for her by none other than the award-winning Chef Shawn McClain at the Libertine Social Restaurant on property. How cool is that?! I even got to meet him (Celebrity Dog Perk). Now, now, I know what you must be thinking...“did the ever-so-cute #TravelingTink and her owner really go to Las Vegas without paying a visit to any of the casinos? ?” And to that I say, of course not! How could anyone skip out on gambling in Sin City?! My human and I were all about hitting the floor at the Delano’s dog-friendly casino. I just love how I was allowed to stay with my human while she had a blast throwing the dice at the tables all night long (...she told me I’m her lucky charm.) It was also fun for me to watch her play the slot machines too because all the lights and sounds were really exciting to see! Not only is the Delano chuck full of fantastic offerings, but it is also just a couple miles away from the Las Vegas Strip. So on top of all the great gambling, food, and entertainment at the Delano, its close proximity to other resorts is a real bonus. I mean, the Mandalay Bay resort is right next door! It’s so great to know that my human had tons of opportunities close by to have as much fun as possible on our trip. Did someone say casino-hopping??? I simply cannot rave about the Delano Las Vegas resort enough...it’s spacious suites, fancy meal options, relaxing Doggie Butler Services, upscale facilities, insanely fun casinos, and more really allowed for us to make the most out of our time in town. 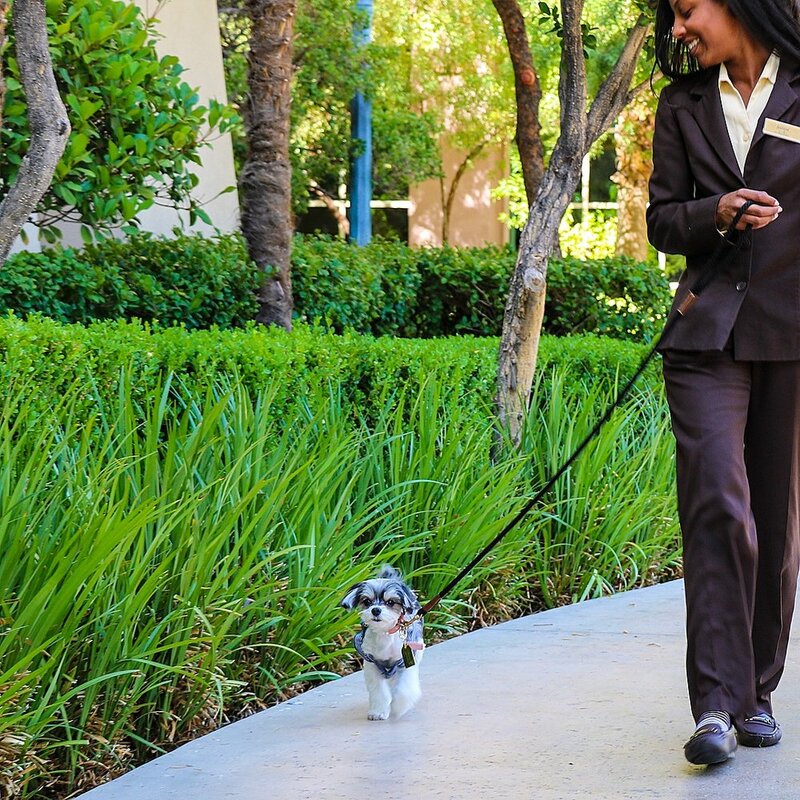 As a dog, it can be so hard to come across a hotel that is pet-friendly and really goes above and beyond for its canine guests. It’s so great that my human was able to have the time of her life without the stress of worrying about me being taken care of. It was a win-win for us both, that’s for sure! If someone were to ask me if I would choose to stay at the Delano Las Vegas resort again, I would give them a resounding YES! It is definitely a hotel fit for royalty and really exceeded my princess pup standards. I give it a solid 10/10 and I highly recommend staying there if you get the chance! Have you checked out my Instagram yet?! @TinkerbelleTheDog is where I post pictures of all my adventures so be sure to follow along there. Use #TravelingTink to check out even more!